Judging by the popularity of language teaching programs of every ilk, there are a tremendous number of people desiring to learn a foreign language, especially Spanish. In my never-ending quest to try them all in researching my book, the Interactive Guide to Learning Spanish Free Online," I signed up for My Language Exchange, which enables people to practice via Skype or their own conferencing tools. Somewhat like Match.com, members write profiles and you can your sort your prospects by age, gender and country. First, I was looking for a reliable person who could practice on a schedule. Secondly, I was there to practice, not flirt. In looking at the profiles, I wasn't sure how awkward finding a Language Exchange partner might be. The site provides excellent conversation guides. Frankly, I never needed them. After about 30 inquiries to men and women saying that a set schedule was important to me, I received a response from a fellow who had made it quite clear in his profile that he was married, which I liked. His picture was a family portrait that included a very surprised baby and a beautiful wife. Juan lives in Spain, bringing me back to the Castilian accent I first learned and still love. As an added bonus, he was born in La Rioja, the birthplace of the Spanish language, and as such, he’s a purist. We hit it off. He is a former television producer turned teacher and he needs to speak well for students. He is curious about my experiences in Mexico, "Son tan dulces," he says of the Mexican temperament. He is frustrated by the employment situation in Spain. He was expecting a daughter the following April. Of course we talk a lot about language itself. “I took a test to determine if I was bilingual,” he told me. “Do you know what one exercise was? Translate the opening song of The Big Bang Theory!” My jaw dropped. “En serio?” I asked. He brightened. “Oh! Thank you! I know exactly what it means now! That’s perfect!” I couldn't help it. I had too much pride to leave him thinking I was part of the 80% and it was all I could come up with (which made me question my reading history). Sometimes it took writing something down and waving pieces of paper at one another. Sometimes it’s laughing about t-shirts we see that don’t translate so well. The nice thing is that looking back, I can never remember if when we learned something new, we were speaking in Spanish or English. Interested in testing your Spanish in Mexico? Register with Ventanas Mexico for updates! Most recent: Mexicans like to celebrate rich cultures, including yours. Kerry Baker is a partner with Ventanas Mexico, which assists people exploring the idea of full or part-time expat life in Mexico. 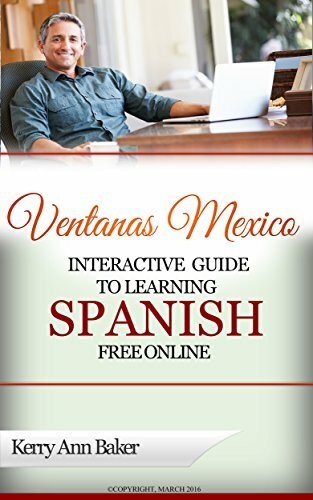 She wrote "Interactive Guide to Learning Spanish Free Online," a curation of the best tools on the web to learn Spanish organized into lesson plans. The book takes you via links to tools that Google Ads doesn't want you to know about, many of them from Spain. Create an unique lesson plan every day. Never get bored and create your richest possible expat experience. 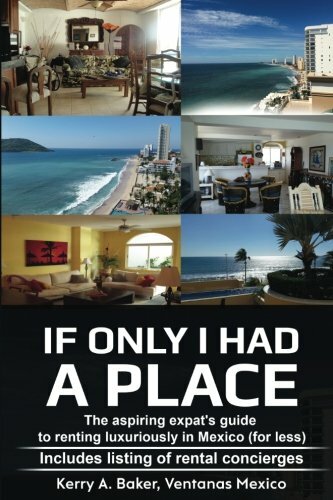 The book "If Only I Had a Place," was recently released to help aspiring expats find inspiring places in Mexico for less. It includes a listing of rental concierges in all the most popular expat destinations.